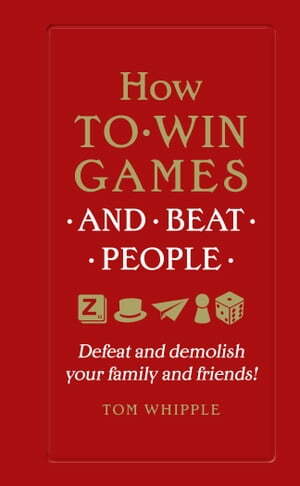 Collins Booksellers - How to win games and beat people by Tom Whipple, 9780753551707. Buy this book online. Defeat and demolish your family and friends! Are you fed up losing at family board game nights? Do you want to learn how to destroy the competition? Get the inside tips from preposterously overqualified experts on how to win a range of common family games, board games and more. * A game theorist tells you what properties to buy in Monopoly in order to bankrupt and embarrass your competitors. This is a must read for anyone who takes games too seriously and for bad losers everywhere.